Losing an eye can be devasting, physically and emotionally. The good news is that few people will be faced with this during their lifetime. The reason for the eye removal often dictates the way in which a person responds from an emotional standpoint. Those who were born with a blind eye or have been losing sight over a long period of time can adjust more quickly. Patients who develop an acute condition warranting an eye removal, like an accident or trauma, have a harder time coping with this change. Sympathetic ophthalmia can happen to the “good eye” when the injured eye releases proteins that the body sees as “different” and starts attacking the remaining healthy eye. This condition usually requires lifelong medications to control inflammation in the “good” eye, but fortunately, sympathetic ophthalmia is very rare. Whatever the reason for eye removal, an oculofacial plastic surgeon is the most reliable expert to turn to. They will do everything possible to optimize the health and function of the remaining tissues. These experts will also find a comfortable eye prosthesis that looks natural or will discuss other options. 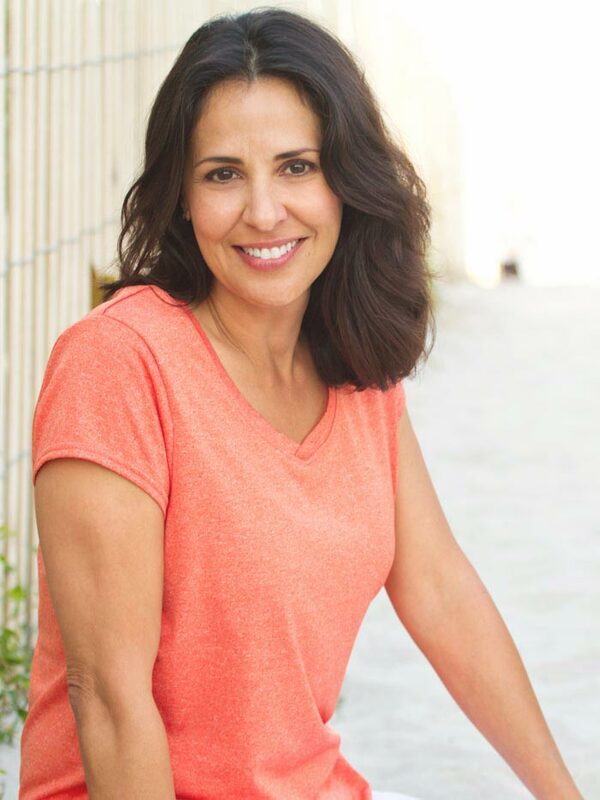 Board-certified oculofacial plastic surgeon Dr. Vivian Schiedler has a lot of experience with eye removal and takes measures to replace as much of the lost volume as possible. This allows the patient to maintain a sense of symmetry in their face. Although it might cause emotional distress, enucleation due to illness or injury does not have to result in disfigurement. You can maintain your aesthetic appearance without most people even knowing you lost an eye. When removal of a diseased, injured, or blind eye is done well, it lays the foundation for a successful prosthetic placement. 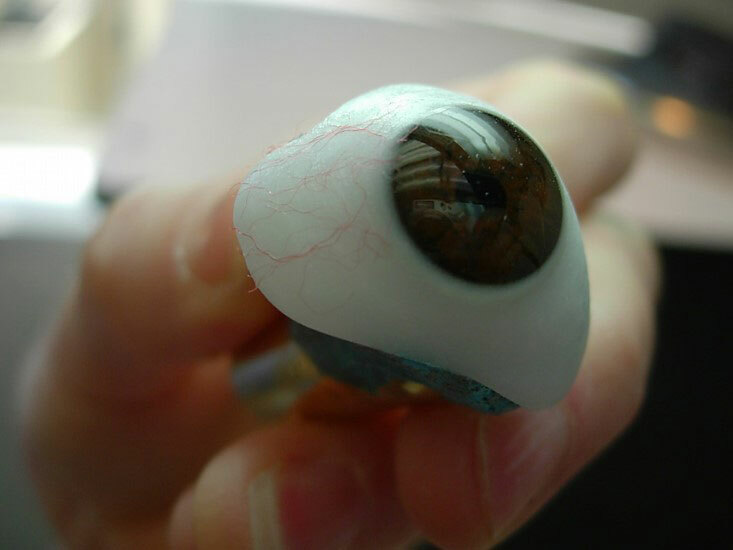 Nowadays, prosthetic eyes are custom-made to match the remaining healthy eye. The ocular prosthesis is similar to a large contact lens that is fitted under the eyelids to restore volume and create a natural-looking appearance. There are two main ways of removing an eye: enucleation and evisceration. In enucleation, the eye muscles are lifted off the diseased eye and the entire eye is removed. This tissue can then be submitted to the pathologist for analysis. Afterward, the eye muscles are reattached to a round spherical implant that stays deep in the eye socket and is covered by healthy tissue. Using an implant and replacing the volume of the lost eye creates a convex surface. This approach allows for muscle movement to be transferred to the artificial eye helping to create a natural response. An evisceration also uses an implant, but the eye muscles are not detached from the eyeball. This procedure removes the inside contents of the eye and uses alcohol to destroy any proteins that could be involved in mounting an autoimmune response in the healthy remaining eye. The white of the eye is then opened in the back to allow placement of the spherical implant and then the front is closed in several layers. By not disturbing the eye muscles, the prosthetic eye can maintain excellent movement. There are several humanmade materials used as implants. Dr. Schiedler prefers to use light materials with small channels so that blood vessels can grow into it and integrate better. Using a lighter implant prevents it from sinking in the eye socket, thereby maintaining a natural fullness to the upper eyelid. This also helps the artificial eye to camouflage nicely. However, in cases where someone has had radiation or loss of tissues, a plastic or silicone prosthetic may be used. Patients who’ve had difficulty with a sunken eye socket may be candidates for a fat graft from the hip to add more volume. Eye removal surgeries can be done under intravenous sedation or under general anesthesia. The choice is sometimes made based on underlying medical conditions. A patch is placed over the eyelids for a week to reduce swelling, and antibiotics are given to prevent infection of the new implant. Dr. Schiedler works in conjunction with very skilled Portland-based ocularists Kevin Schou, BCO, BADO, and Maureen Maloney-Schou, BCO, BADO, FASO, of Maloney’s Custom Ocular Prosthetics. They travel to Medford to help Oasis Eye Face and Skin’s local patients. An ocularist is a highly skilled professional who creates, paints, and fits the eye prosthesis. 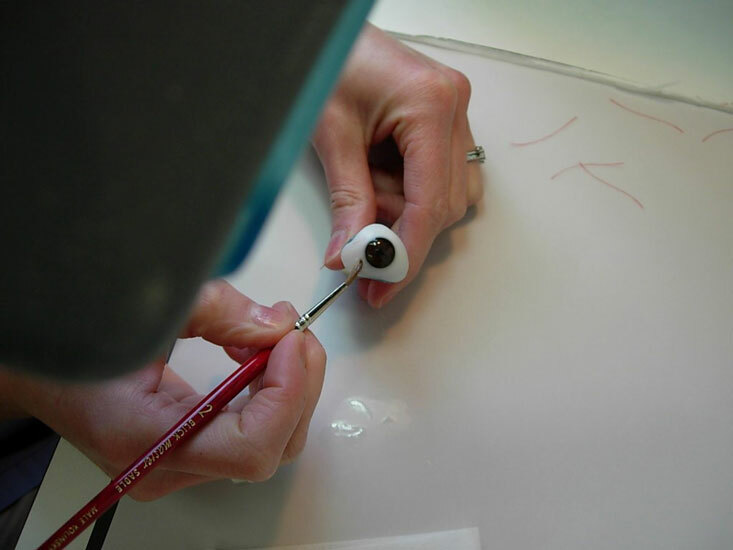 Skilled ocularists can make very realistic artificial eyes that resemble the patient’s unaffected eye. The implant is made about two months after the surgery, as this gives the swelling ample time to subside. It typically takes two days to create and adjust the new implant. A temporary conformer, which is similar to a large contact lens, is fitted into the eye socket and worn during the first eight weeks post-surgery. A natural iris conformer, which looks like an eye, comes in six colors and lets the patient return to feeling normal sooner. An alternative option is to wear an eye patch until the custom prosthesis is made. Enucleation, or eye removal, sounds scary. However, having a skilled and qualified eye surgeon such as Dr. Vivian Schiedler at Oasis Eye Face and Skin makes the surgery much more bearable. Dr. Schiedler will listen to every concern and take the time to educate you about your condition, the surgical plan, and recovery. This gives you a clear idea of what to expect and increases the chances of having a smooth procedure. Oasis Eye Face and Skin will be with you every step of the way and will help guide you. Every effort will be made to restore your eye volume and maintain a natural appearance. To learn more about eye removal and eye implants, call 541-500-0165 and schedule a consultation.